Over the last decade, Axel Honneth has established himself as one of the leading social and political philosophers in the world today. Rooted in the tradition of critical theory, his writings have been central to the revitalization of critical theory and have become increasingly influential. His theory of recognition has gained worldwide attention and is seen by some as the principal counterpart to Habermass theory of discourse ethics. In this important new volume, Honneth pursues his path-breaking work on recognition by exploring the moral experiences of disrespect that underpin the conduct of social and political critique. What we might conceive of as a striving for social recognition initially appears in a negative form as the experience of humiliation or disrespect. 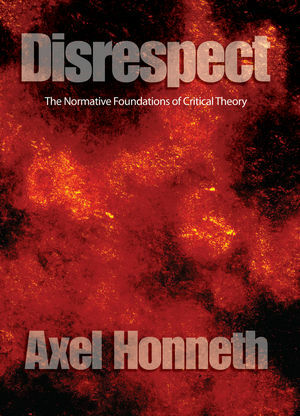 Honneth argues that disrespect constitutes the systematic key to a comprehensive theory of recognition that seeks to clarify the sense in which institutionalized patterns of social recognition generate justified demands on the way subjects treat each other. This new book by one of the leading social and political philosophers of our time will be of particular interest to students and scholars in social and political theory and philosophy. Axel Honneth is Professor of Philosophy at the Johann Wolfgang Goethe University, Frankfurt. The Other of Justice: Habermas and the Ethical Challenge of Postmodernism. A new book by Axel Honneth, one of the leading social and political philosophers in the world today. In this important new volume, Honneth pursues his interests is practical philosophy by exploring the limits of a theory of justice oriented towards procedure. By developing an original account Honneth outlines a practical social and political philosophy for the contemporary age. His theory of recognition has gained worldwide attention and is seen by some as the principal counterpart to Habermas’s theory of discourse ethics.